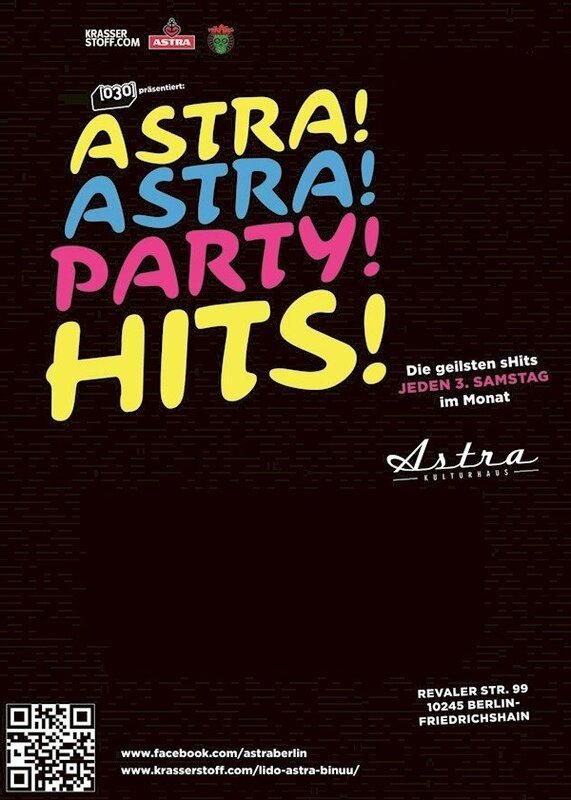 Astra Kulturhaus 16.01.: Astra! Astra! Party! Hits! This event "Astra! Astra! Party! Hits!" 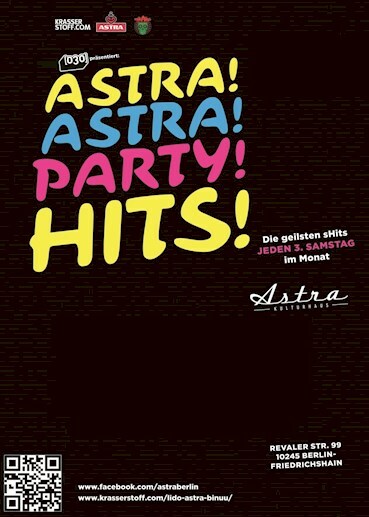 @ Astra Kulturhaus has already ended on 01/16/2016. Here you can find upcoming events for this location!